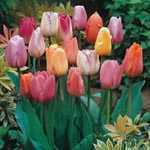 Tulip Bulbs Triumph Pastel Mixed is a compilation pack of Tulip Bulbs. 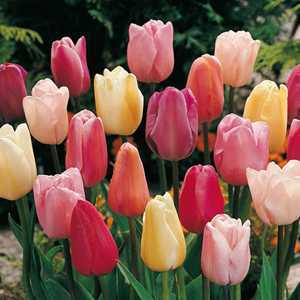 This pack consists of a mix of pastel coloured Tulips in yellows, pinks, peaches and creams. Planted together it will give an attractive display of colour during the early Spring.